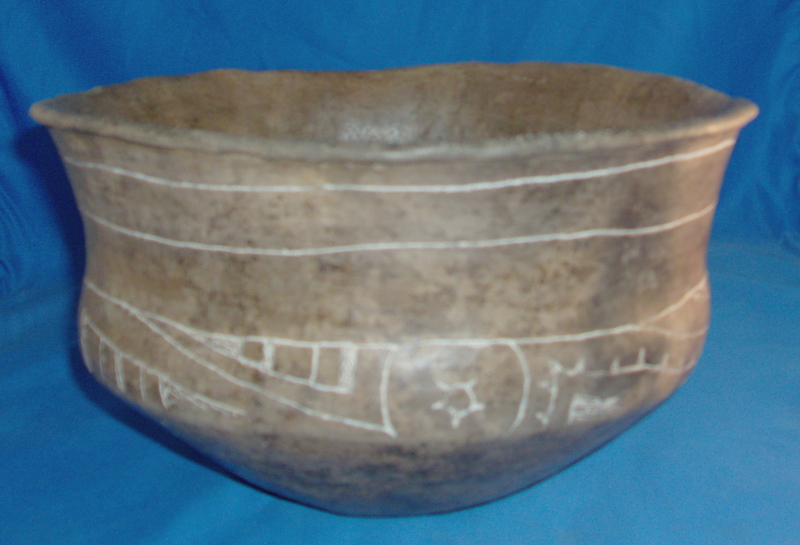 An Exceptionally Large Size, Well Made, Caddo Avery Engraved Bowl That Exhibits Surface Sheen & Age Coloration Patina, Aged Deposits In The Engraving, Aged Bottom Use Wear, Correct Type Engraving,Aged Surface Grog Deterioration,Correct Material And Manufacture For The Area Found. Ex-Kevin Pipes Collection. Large Bowls Such As This Example Are Seldom Found In This Condition, Due To The Type Soil Harming The Finish Or The Heavy Sandy Area Soil Pushing The Bowls Apart! Includes A Ken Partain Certificate Of Authenticity!